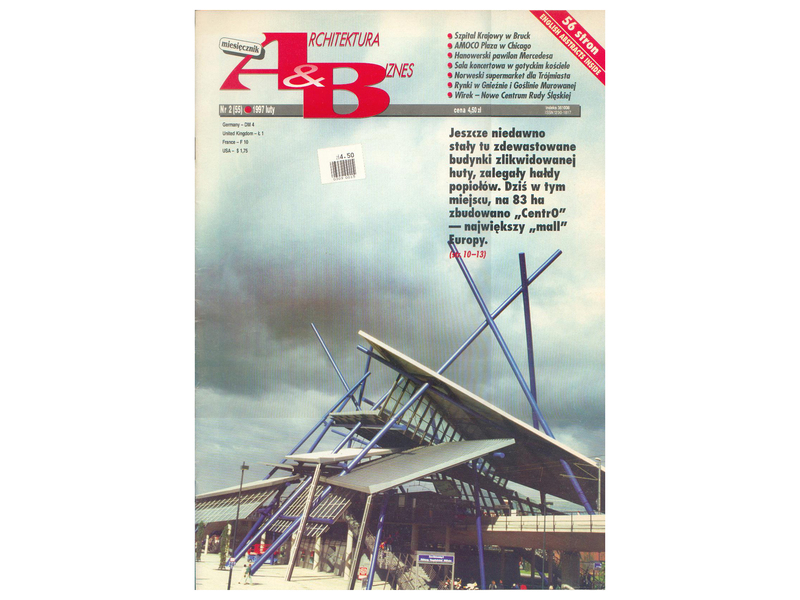 Architektura & Biznes monthly about Piotr Smierzewski. 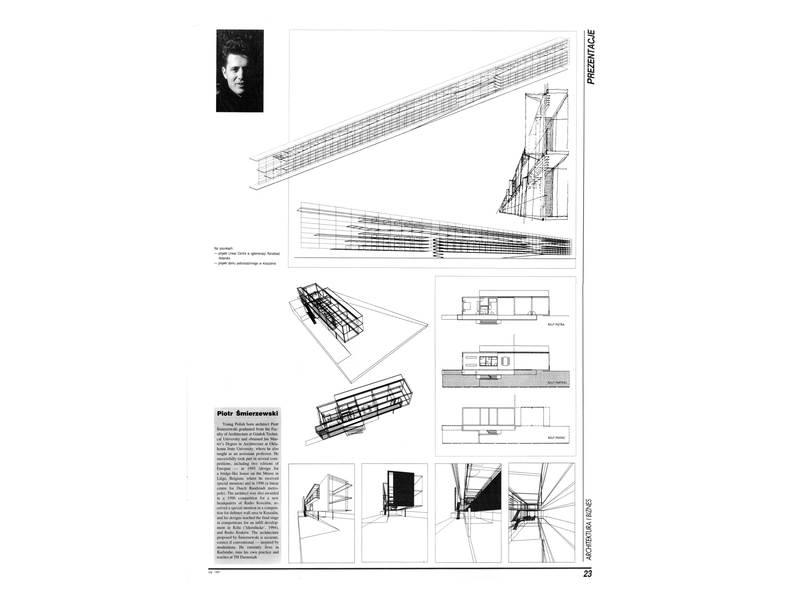 Young Polish born architect Piotr Smierzewski graduated from the Faculty of Architecture at Gdansk Technical University and obtained his Master’s Degree in Architecture at Oklahoma State University, where he also taught. 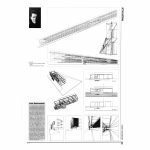 He successfully took part in several competitions, including two editions of Europan – in 1993 (design a bridge-like house on the Meuse in Liege, Belgium, where he received specisl mention) and in 1996 (a linear centre for Dutch Randstadt metropole). 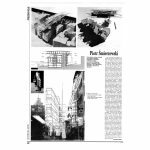 The architect was also awarded in a 1996 competition for a new headquarters of Radio Koszalin, and his design reaches the final stage in competition for a infill development in Koeln (Ideenluecke, 1994), and Radio Krakow. 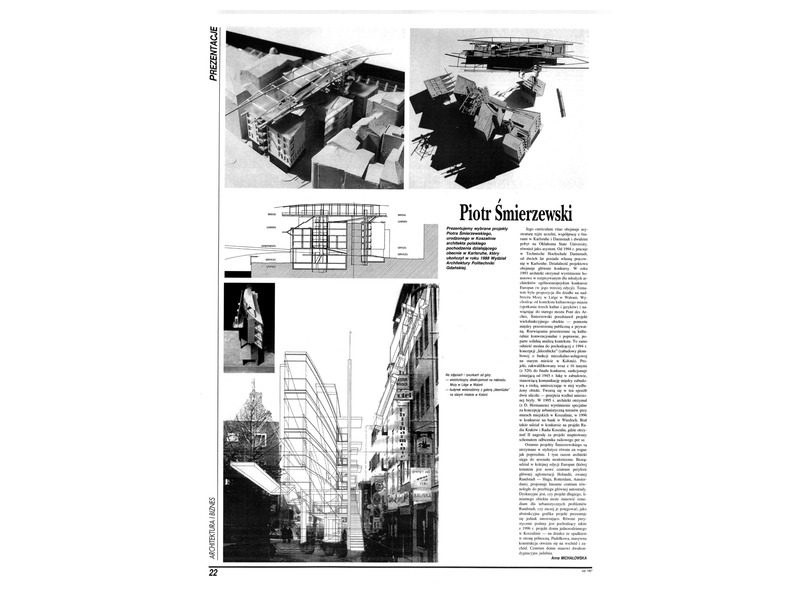 The architecture proposed by Smierzewski is accurate, correct if conventional – inspired by modernism. 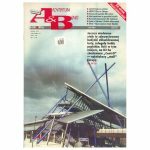 He currently lives in Karlsruhe, runs his own practice and teaches at TH Darmstadt.